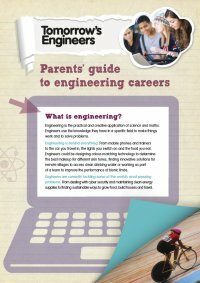 Engineering offers excellent career prospects for your child and there is a high demand for engineering skills in industry, with plenty of exciting opportunities and rewarding career paths for them to follow. An engineering apprenticeship with Seta provides the launch pad for a career in engineering, manufacturing and related industries and enables students to gain a nationally recognised qualification, while receiving on-the-job training and earning a wage from an employer. Our apprenticeships are delivered by highly experienced, qualified staff, in our state-of-the-art workshop facilities in Washington, North East England. We create an environment which enables our students to experience ‘hands-on’ learning and acquire practical skills for use in industry. In addition, our business and professional apprenticeships – which cover administration, customer service, team leading, and management - will help your child get a head start in business environments, opening up opportunities across a range of industry sectors. Apprenticeships are open to anyone over the age of 16 who is no longer in full-time education. We have an excellent track record of delivering for high profile clients and have strong links to industry – many of the companies we work with are household names across the globe and have trusted us for decades to deliver apprenticeships. What’s more, Seta is officially rated as a ‘good’ training provider by Ofsted: you can read more about the standards of our training here. Want to know more about how a Seta apprenticeship can help your child get ahead? Take a look at our case studies.